Sessions begin at 6:30pm with a short overview by the artist, explaining the week’s focus. You will then be encouraged to explore the exhibition on your own, coming back to the session leader, where necessary, for additional tips! Go on a sketchbook journey around the exhibition and explore how Ruskin and his contemporaries used sketchbooks and drawing from observation. With BP Portrait Prize winning artist Clara Drummond. Clara Drummond, born in Edinburgh, read Modern and Medieval Languages at Newnham College, Cambridge. Drummond worked as an assistant to portrait painter Jonathan Yeo before completing the Drawing Year at the Royal Drawing School in 2006. She was awarded the Bulldog Award by the Royal Society of Portrait Painters and the Young Artist of the Year award by the Society of Women Artists. 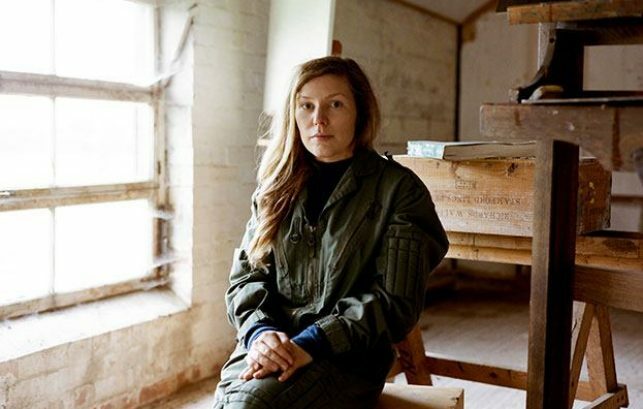 Drummond’s work has been exhibited five times in the BP Portrait Award at the National Portrait Gallery and in 2016 was awarded first prize for the BP Portrait Award. In 2015 Drummond was one of 12 painters selected to portray veterans of the D-Day Landings, her portrait of Dr Renouf was exhibited at The Queen’s Gallery in May 2015 before being exhibited at the Palace of Holyroodhouse. In 2017 Drummond was commissioned by Her Majesty the Queen to do an Order of Merit portrait which is now part of the Royal Collection. Solo exhibitions include ‘Kingdom: Drawings of Arctic Flora and Fauna’ at Galeribox, Iceland, and ‘Discoveries: Artist in Residence of the Eight Museums of Cambridge University’ at Two Temple Place, London, and ‘Unsung Muse’ at the William Morris Society, Kelmscott House, London. Group Exhibitions include: Small is Beautiful, Flowers Gallery, London, Christies, New York, Christies, London. Buckingham Palace. Drummond has written book about drawing and artists sketchbooks which is due to be published by Kyle Books in September 2018. Her work is currently exhibited at Buckingham Palace (21st July – 30th September) and will be exhibited at Newnham College, Cambridge (October 2018 – January 2019).